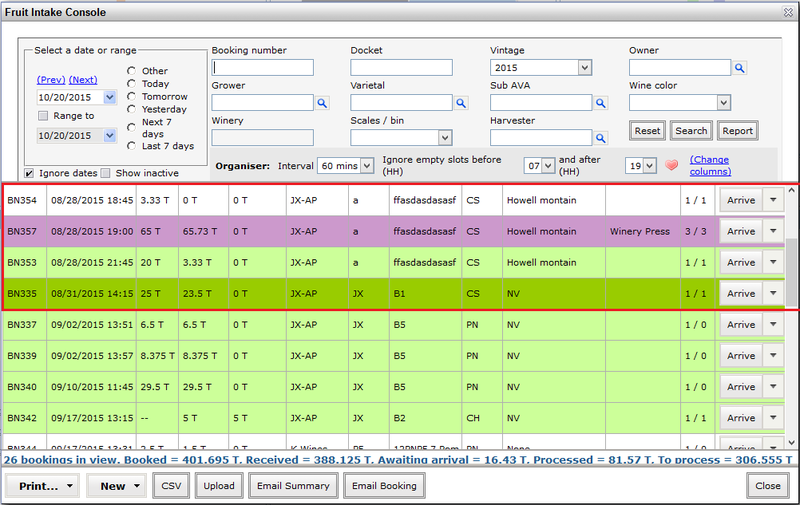 The Fruit Intake Console has different colors for the different statuses of a fruit booking. Light Green: Underway booking. Fruit has been received. You may manually edit the booking status by clicking the drop down arrow to the right of the Arrive button, and select Edit. 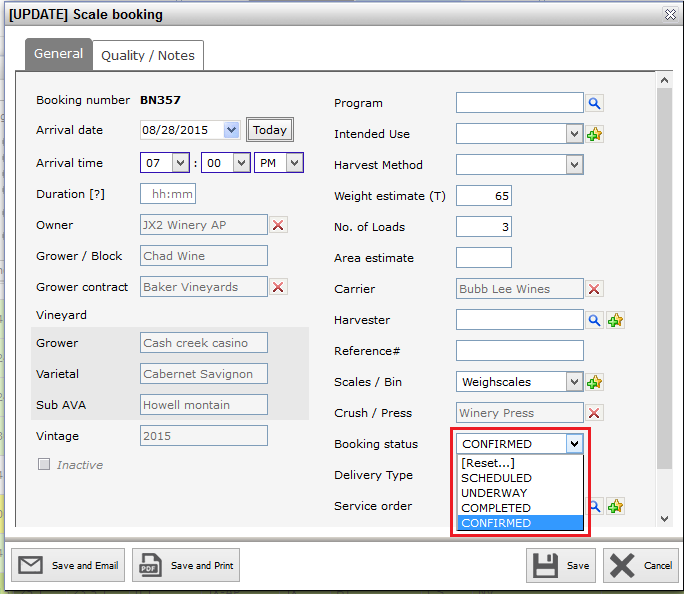 Use the Booking status drop down to adjust, then Save.